Please follow the instruction on this article to cancel your account. Please note that Cloudbeds team is unable to cancel your account for you, but you can cancel it within the system using the instructions below. After your request is processed you will no longer be able to log into the application. 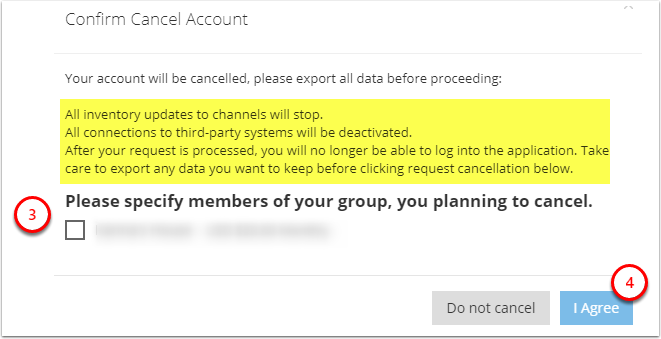 Take care to export any data you want to keep before clicking "Confirm account cancellation". All connections to third-party systems will be deactivated. All inventory updates to channels will stop. 3. 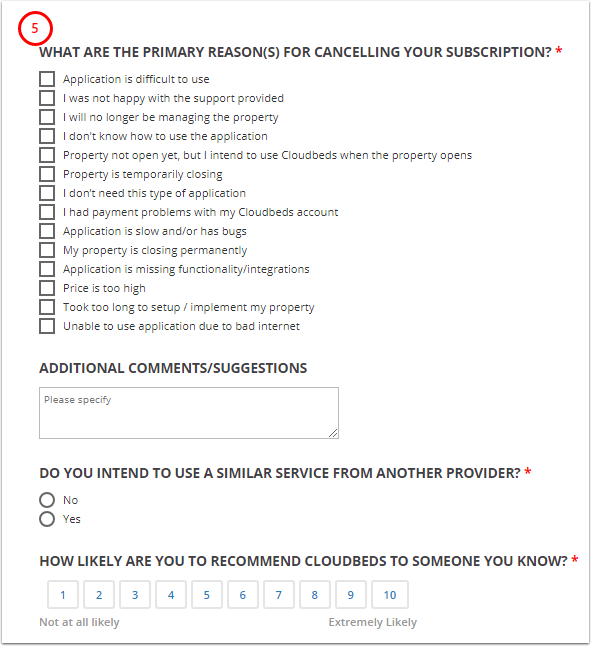 If you have a group of properties under the same Billing account and you would not like to cancel all of them, specify which members of your group you are planning to cancel. 4. Click 'I Agree' to proceed (this action DOES NOT requests cancellation immediately). If you do not want to proceed, click 'Do Not Cancel'. You can always re-activate the account by logging in with your credentials to Cloudbeds. You will be redirected to your billing portal where you can re-enable the account.